Are you the Diva, or Divus, of your own destiny? Do you want to start your transformation, your new habits, your fresh and positive thinking? Do you yearn to break into the elusive world of being a published author? Then make yourself accountable to your writing goals now. Incorporate these writing Diva’s 7 tips to success. Hone your craft by forging on AND start writing now, not “as soon as you’ve got some spare time for your writing career”. Don’t worry about writing a dazzling first draft. Just let it flow from your mind through your fingers on to that computer screen or writing pad. No one else will see your baby; it’s for your eyes only. Cut your teeth on honing your craft and always be true to your story. You cannot sell a story you’ve got in your mind, until it’s captured on the page. 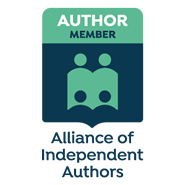 You’ll have the book – the baby, the product – to pitch to the literary agents and fiction editors in the writing conferences, or to work from to indie-publish. Until you have many published books to prove your staying power, and that you’re able to deliver a good story in time, it’s rare to sell your book on proposal in the beginning. Unless of course you’ve been married to Donald Trump or Prince Andrew…. Until that happens our best way in the publishing door is to play by the publishing rules. In the early 1990s when I was a young spring chicken where my writing was concerned I received a rejection slip from a tiny press magazine editor. It nearly threw me into a depression that threatened I’d never write even a shopping list, lest I hurt again. But after a tearful phone call with a creative soul mate, I threw the covers of despondency off my renewed resolve and promised I’d never take rejection personally ever again. Use the Q-TIP tip. Quit Taking It Personally. But by just repeating those words to yourself, you’ll find it helps. I know it’s not easy! But I reminded myself that I’m the only one who can write the stories I write – in my own unique way. So I detrmined to think like a professional writer. When I’m a published author, I told myself, I may well have to get used to derogatory reviews; to being contradicted by fellow writers; to accept or reject well-intentioned critique partners’ suggestions, who may not ‘get’ your story or vision of success. And I may also have to learn to fight the envy monster – both my own and from fellow writers. Be true to your own voice – there are no hard and fast rules, only resources from those who are willing to share what’s worked for them. How they broke in to the ‘published’ status. What and who helped them attain their goals. Listen and read about others’ successes. Study their lessons learned. Open yourself up to the universe of laws of attraction, and your favorite writer, the busiest and most prolific author you admire may agree to mentor you. Try the suggestions that ring true and those points that invite and inspire you to experiment and explore – to find at your own pace, your own unique style and voice. This comes with practice and reading a myriad of fiction and watching great movies that echo the three-act structure. Robert McKee’s “Story”, Dwight Swain’s “Techniques of the Selling Writer”, and Jack M Bickham’s “Scene & Structure” are some helpful resources that can help. See more books that may be invaluable in your success, below. Go on your gut instinct, we creative individuals act so often on an instinctive level and later realize that what we’ve been doing has been named, used and indoctrinated in the hall of writing fame. Everyone has his or her own way of hitting the mark. Study, write, read, rinse and repeat. Visualize your stories and capture them and believe in yourself and your story. Don’t compare your own endeavors in the craft or the business of writing with anyone else’s. Other writers’ activities, from your writing organization or critique groups, may leave you feeling lacking in some aspects of improving your skills of doing more or doing things differently. But you’re on your own journey to self-discovery and your own path to self-fulfillment and getting published. Do it your way, and persevere. Call it meditation, creative visualization, self-hypnosis, it can all help you reach your goals to success. But what does your success look, feel, sound or taste like to you? What does your ideal career plan entail? Can you taste the delicious fruits of your perseverance? Are you clearly visualizing your name on the New York Times or the Romantic Times lists? How does it feel imagining yourself walking – gliding – on the stage to accept the RITA or other writing award of your choice? When would this happen by? It’s really up to you. Yes, even if you say, it’s upto the publishing industry, etc., if you have done your part in creating, crafting, revising and making your story the best it can be, then there are other viable options for getting your books out there to your readers. Don’t allow the fear of rejection or of too many years of trying to get published paralyze you or put you off what you’re passionate about. Writing stories you want to entertain your readers with. Did Mohammad Ali really believe he was “the greatest” when he announced it to the world? Absolutely. Otherwise he wouldn’t have accomplished the most positive of self-fulfilling prophecies. If you see it in your mind, believe it in your heart and gut, then it’ll propel you towards that dream and make it a reality. Sooner rather than later. Don’t dwell on possible or even inevitable obstacles. Instead, concentrate on your uniqueness and forge forward. On the spectrum of allowing yourself a short time to wallow in self-pity or frustration in the wake of rejection, there is the other side – recognizing and enjoying your success; Do you give yourself enough time to stop and celebrate your efforts before moving on to the next hurdle or project? Have you just finished polishing your novel, short story, or article? Did you send out a requested manuscript to the agent or editor? Or have you in your hand a book with your name on it? Be proud you’ve succeeded this far – where some others may fear or only covet to tread. How will you celebrate your accomplishments? Take time to marvel at your exciting (or harrowing and sometimes all-consuming) journey to publication. Depending on the accomplishment, reward yourself accordingly. If you’d promised to buy yourself that special pair of shoes or latest gadget once you finished the last draft and sent off the manuscript, then go out and treat yourself. Pamper yourself with a facial or manicure. Or go to lunch and share your joy with your writing group, critique partners or loved ones, when you receive that very first contract or cheque. Celebrate with those who understand what your accomplishments mean to you. Whether it’s a book launch, your first book signing, or reaching the bestseller list after years of toil. Revisit your goals and plans regularly. We evolve and change constantly. This will keep your goals fresh in mind, inspire you and goad you forward to that next level. The waves of the sea of life will take you to that destination, but only when you’ve completely committed to put your whole self – mind, body and spirit – into your passion and your dreams. So write on, Writing Divas and Divuses, you’re your own unique miracle in the making. Any book by Julia Cameron, and Natalie Goldberg (especially “Writing Down the Bones”). Interesting content. You should use social sites to increase traffic and make your site go viral.